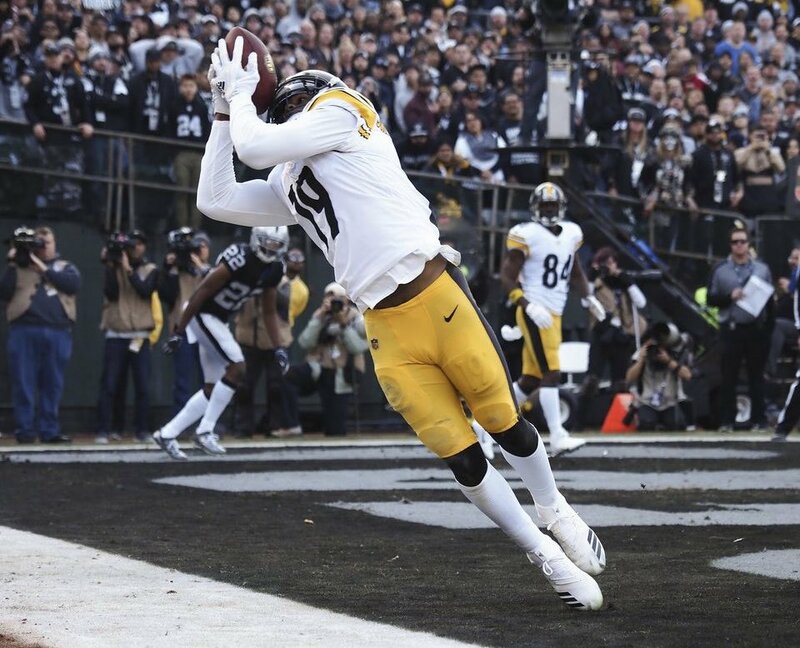 JuJu Smith-Schuster posted a somewhat subtle reaction to the Antonio Brown trade on Twitter Sunday, but the context of the photo he shared makes it obvious he was taking a shot at his former teammate. On the surface, it appeared Smith-Schuster was simply indicating he is ready to take on a bigger role now that Brown is no longer with the Steelers. Of course, the photo he used was from a game against the Raiders, and Brown was one of the players standing in the background. Apparently there is a lot more to it than that. Steelers reporter Mark Kaboly remembers the exact play, and it was initially ruled incomplete. Thinking the throw should have gone to him, Brown then proceeded to throw a temper tantrum on the sideline. The call was overturned, with Smith-Schuster and the Steelers being awarded the touchdown. This play AB went nuts and threw his helmet and pouted on sidelines. Thought ball should’ve been thrown to him. When they reversed the call he almost seemed embarrassed. I was watching with binoculars the entire time. Smith-Schuster may have said all the right things about Brown demanding a trade, but it seems like he is happy with the result. Oh boy, so much for juju being a team guy, stand up, humble etc. Looks like he is gonna start the transition now. Juju emergence had a part into this too. AB saw the connection between JuJu and Ben getting stronger. JuJu has a bigger catch radius and he is easier to throw to. Ben likes big receivers. Plex was his leading target his first year. JuJu was rising and AB was falling . AB knew it ie. the whole mess. I can see why everyone is cautious about him turning into one of those diva WRs. Just hope the organization from top to bottom keeps everyone humble and hungry. Let's just hope for the best he doesn't and enjoy his enthusiasm and fun!